Mountain Professionals trips are guided by our staff of professional mountaineers and polar adventurers. We lead small, highly personalized teams on climbing and polar expeditions. To find out more about our team of guides please read on below or visit the staff profiles. The company itself was founded by outdoor professionals and guides with decades of experience leading adventures around the world. Mountain Professionals has guided successful expeditions on many of the world’s great mountains since 2005. 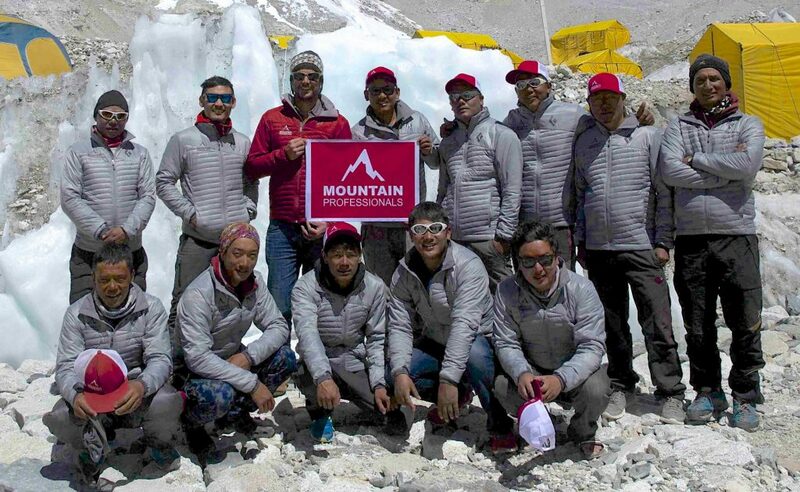 The guiding and logistics network that built Mountain Professionals includes veteran staff that have spent a lifetime pursuing safe and successful adventures around the world. Over the course of the guiding season, Dave and Ryan spoke of their vision for an international guiding company which embraced their outdoor educational background, risk management skills, client care awareness and desire to deliver safe high-quality expeditions. Mountain Professionals was founded in 2005. We have spent years building a location specific infrastructure of the logistics in each of the countries we operate. Joining a Mountain Professionals expedition provides you with a high standard of safety and personal attention from the first inquiry to the culmination of your experience. Our lineup of trips is designed to reflect the expertise of the guides and the specific goals of our community of clients. Please contact us directly for more information or to suggest additional ideas for your dream adventure! 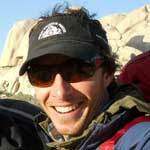 Ryan is widely considered to be the premier guide in the world who is equally adept at high altitude climbing and polar ski expeditions. 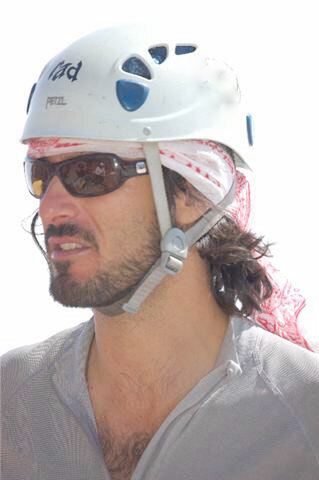 Working in the professional guiding and outdoor education field for sixteen years has taken him all over the world. 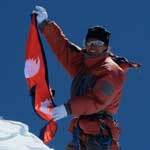 His resume includes guiding the Seven Summits on approximately 50 occasions to the various summits. 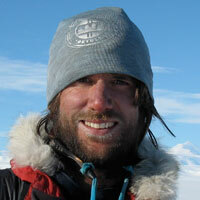 His background includes well over 35 expeditions in the Andes Range and 21 expeditions to the Himalayas. 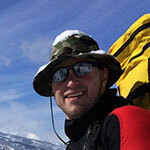 Ryan is a veteran of six expeditions to Mt. Everest, leading groups to the summit via both the Tibet and Nepal sides and three expeditions to Cho Oyu in Tibet. He has led expeditions to K2, Broad Peak (2 times), and Gasherbrum II in the Karakoram Himalaya of Pakistan and Lhotse (2 times), Manaslu (3 times), Dhaulagiri and the Southeast Ridge of 7,200 meter Pumo Ri in Nepal. A team unsupported West to East ski traverse of Greenland expanded his interests into the polar regions. In 2010, Ryan and Cecilie Skog completed a 1,117 mile/1,800 kilometer Antarctic ski expedition over 70 days from Berkner Island in the Ronne/Filchner Sea to the South Pole, continuing to the Ross Sea to complete the first ski traverse of Antarctica without resupplies or the use of kites. He and Eric Larsen skied unsupported to the North Pole in Spring 2014, completing the journey in 53 days, making Ryan the first American to complete the Adventurers Grand Slam with unsupported full ski trips to both poles. He is the first American to ski unsupported full length trips to both poles and has also guided a 44 day full trip to the South Pole via the Messner/Fuches route. Ryan has a Wilderness First Responder certification, the American Institute of Avalanche Research and Education (AIARE) Level II certification. He has a B.S. degree in Geology. Dave has been working as a professional guide for over fifteen years. His experience includes working as lead staff trainer for Outward Bound, Patagonia Program Director, and Director of Safety. Dave has developed a deep understanding of risk management and how to safely deliver mountain expeditions. 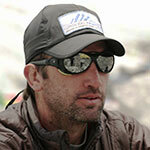 Dave is well versed in alpine, rock, and ice climbing, having trained with the American Mountain Guides Association. Additionally, Dave is a certified American Institute for Avalanche Research and Education (AIARE) Level II and Wilderness First Responder. Dave’s guiding resume includes multiple trips to Vinson, Aconcagua, Elbrus, Kilimanjaro, Ama Dablam, Gasherbrum II, Rocky Mountains and Cascades. Dave was recognized by the Pakistan Military for his role in a rescue from high on Gasherbrum II in 2007. Dave has B.S. degrees in Environmental Science and a M.S. in Natural Resource Management. Chhering has worked since 2007 throughout the mountains of Nepal as a very talented and personable mountain guide. 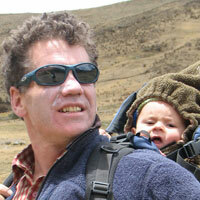 He is a UIAGM/IFMGA certified mountain guide and works as the Sirdar or chief Sherpa guide on our expeditions. 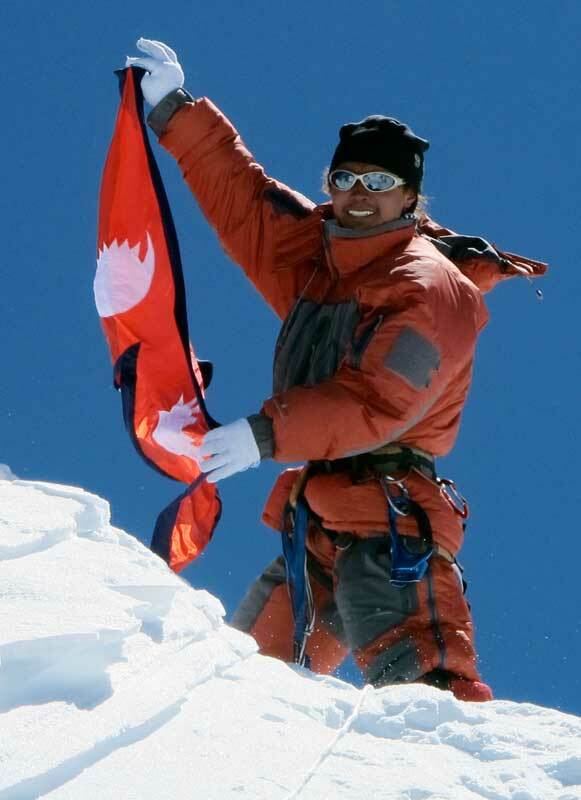 Chhering has already amassed a lengthy climbing and guiding resume in the Himalaya and has reached the summit of Mt. Everest seven times, Cho Oyu two times, and Manaslu three times as well as numerous technical rock and ice routes and many 6000m to 7000m peaks. In addition to his guiding he was recently selected as a Nepali Climbing Instructor, he guides in the Canadian Rockies and is an International Federation of Sport Climbing Judge and Route Setter. Chhering lives in Seattle, USA. 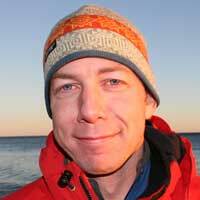 Mike began his guiding and instructing career in 1993, and has since worked in a variety of settings including rock climbs in Red Rocks, ice climbs and glacier travel on Mt. Shasta, alpine rock in the Sierra, and high altitude glaciated mountaineering in South America. Though always a generalist and able to cross disciplines, through the 90s Mike focused intensely on rock and accumulated many achievements such as climbing Facile (5.14b), many ascents of El Capitan and other well-known big walls, onsights of Astroman (5.11c, IV) and the Rostrum (5.11c, IV) in Yosemite, and many first ascents including the 15+ pitch Dogma (5.11c V) in Red Rocks. Mike lived “on the road” for a decade, working on the YOSAR Valley team (Yosemite Search and Rescue), instructing and guiding rock climbing and mountaineering, and managing safety in the Argentine off-Broadway aerial show called De La Guarda. Mike has worked for Outward Bound since 2002 as an Instructor, Staff Trainer and Course Director. He has a B.S. degree in Recreation Management and an M.A. in Contemplative Counseling Psychology, and is pursuing his full certification with the AMGA (American Mountain Guide’s Association). 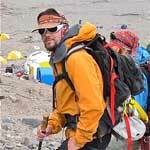 Mike’s areas of focus for the last decade have been in high altitude mountaineering, expedition climbing, and technical alpine climbing, as well as mastering the art of guiding. 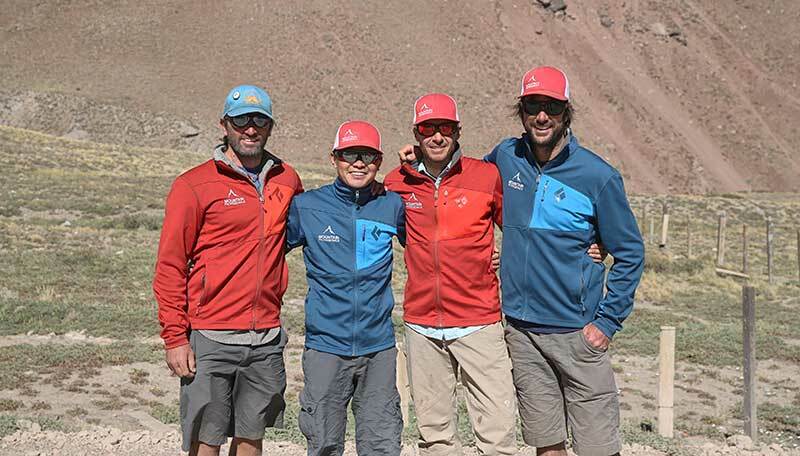 Mike is a certified AMGA Rock, Ski and Alpine Guide and a full UIAGM guide who lives in Boulder, CO.
Tomas was born in Patagonia, Argentina and formed at an early age as a climber in the NahuelHuapi National Park. He has completed a large number of rock and ice climbing routes, backcountry skiing descents and climbs all around the world such as Mt. Lhotse (8.516 mts. ), the 4th highest peak in the world, without using supplemental oxygen (May, 2012). He is a certified Mountain Guide from the EPGAMT and a member of the Argentinean Mountain Guides Associations (AAGM) and has extensive experience leading expeditions on Mt. Aconcagua, which he has repeatedly ascended, as well as on other peaks in the Central Andes, Patagonia, Pakistan, Chile, Peru, Bolivia, Antarctica and in the Himalayas in Nepal. During the winter season, he practices backcountry skiing, mostly on the volcanoes in Patagonia. He feels very privileged to work as a mountain guide and to be able to share experiences with people that have the same passion. Doug is an accomplished guide, program director, and instructor. He has climbed and skied extensively in North America, Argentina, Chile, Bolivia, France, Switzerland, Thailand, Kenya, Tanzania, and the Himalayas of Nepal and India. 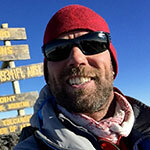 He has extensive experience guiding mountains such as Kilimanjaro, Mt. Kenya, three expeditions to Ama Dablam and several unclimbed peaks. Doug has worked for over 15 years in the professional guiding industry and has spent extensive time in Nepal both living and working there earning him valuable local Nepali knowledge and language skills. He has spent a large amount of time working for organizations such as Doctors Without Borders and the International Rescue Committee in Bosnia and various African Countries. 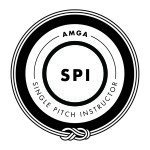 Doug is a certified Wilderness First Responder, a certified AMGA Single Pitch Instructor and has a B.A. in Sociology. Eric is a Polar adventurer, guide and educator. 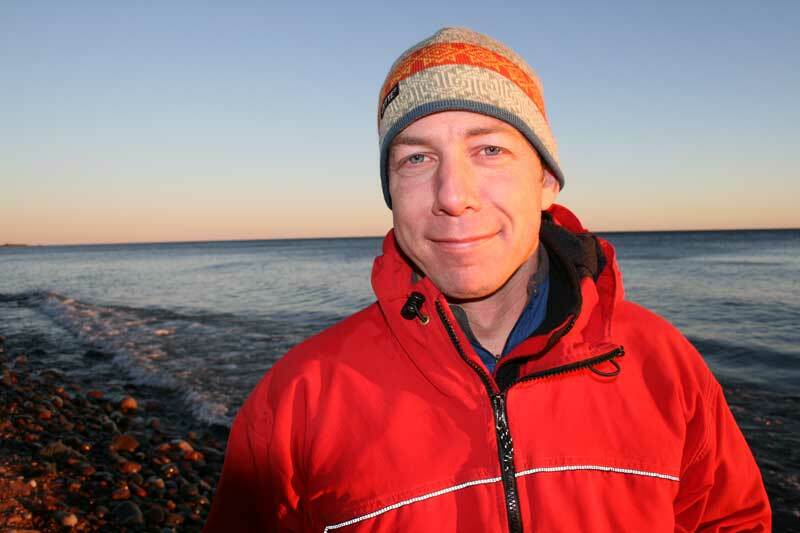 As an educator, he strives to connect people to places and issues and in recognition of those efforts, Eric was elected as one of Outside Magazine’s Eco All Stars in 2008. In 2006, Eric and Lonnie Dupre completed the first ever summer expedition to the North Pole. He successfully led his first expedition to the South Pole in 2008 and is now one of only a few Americans to have skied to both the North and South Poles. 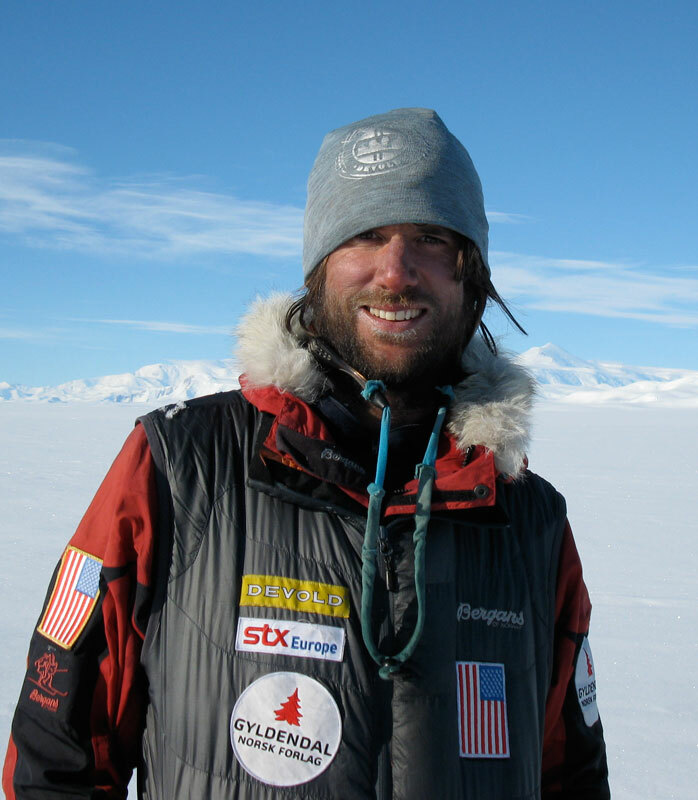 In November 2009, Eric returned to Antarctica for the first leg of his world record Save the Poles expedition. He became the first person to reach “all 3 poles in a single year”. This time he completed a 750-mile ski traverse to the geographic South Pole then two short months later he was at the northern Ellesmere Island for a winter-style North Pole journey. His international team reached the North Pole 51 days later on Earth Day April 22, 2010. He completed the final leg of the Save the Poles expedition by climbing Mt. Everest in a rare Fall ascent . Eric’s other expeditions include dog sledding in the Canadian Arctic, training trips to Hudson Bay and countless dog sled races. He has summited Mt. McKinley, ridden his bike across the United States, and been a backcountry ranger in Alaska. He was also inducted as a member of the Explorer’s Club. He lives in Boulder, Colorado. 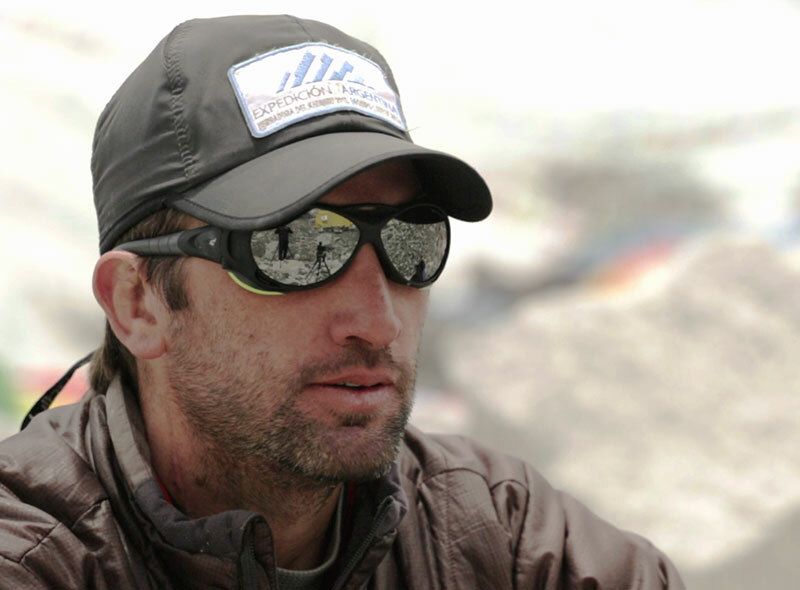 Ted has been professionally guiding high altitude mountains for twelve years. 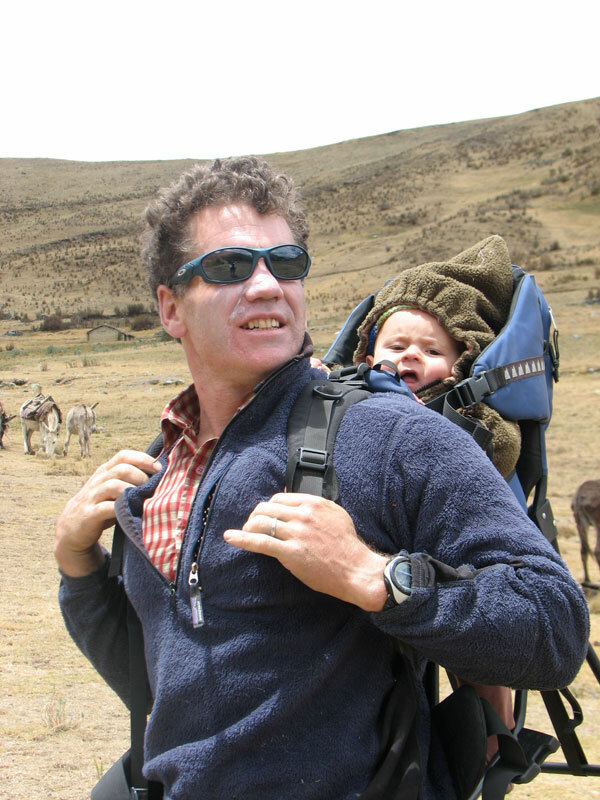 He has worked as the Program Director of Patagonia Outward Bound and is the co-owner of Skyline Adventure School in Peru. 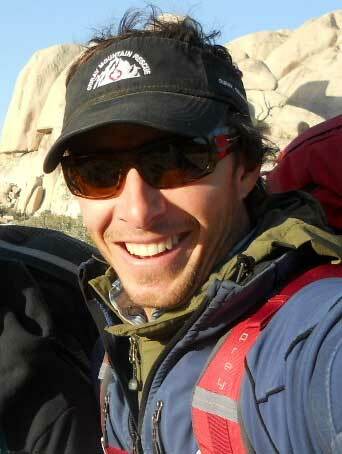 He comes to Mountain Professionals with a depth of experience and an unbridled enthusiasm for the mountains. Ted works as the director of our Peru programs. He adds top professional guiding and leadership skills to every expedition and he may just be the strongest mountaineer we know of! During the off season Ted can be found in Peru climbing extensively in the Cordillera Blanca, making beer, and spending time with his family. Ted holds his level II (AIARE) Avalanche certification, Wilderness First Responder Certification, and is a member of the American Mountain Guides Association working towards his alpine certification. Sam grew up in Nantucket a small island off the coast of Massachusetts. After a short stint at College of the Atlantic and a trip to Patagonia he decided he would rather spend the majority of his time in the mountains. 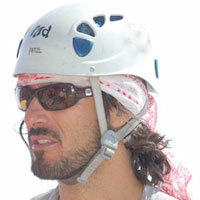 He has climbed and guided across the US and Alaska, as well as internationally in Chile, Argentina, and Nepal. In 2004 he made it into the American Alpine Journal for a first Ascent in Patagonia. He has Guided Expeditions to Aconcagua, Denali, Ama Dablam, and has also climbed Island peak and Lobuje in Nepal. 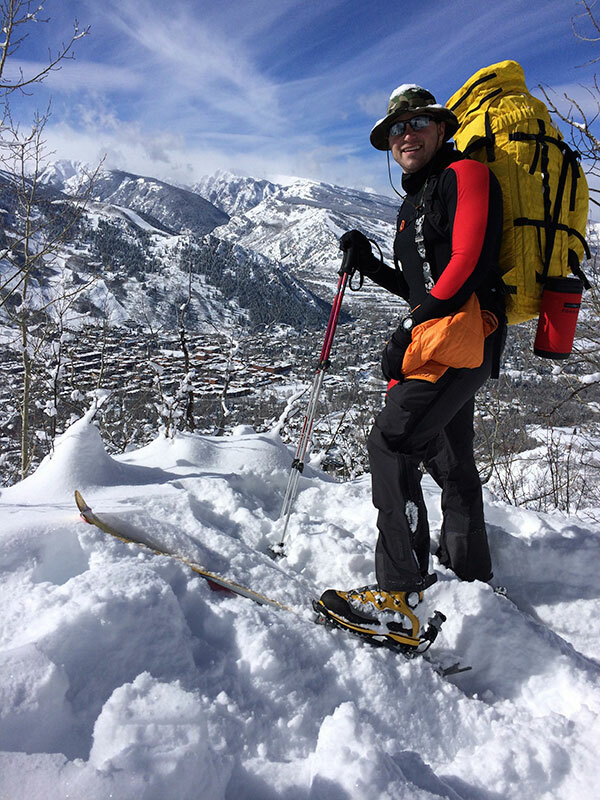 He holds a Wilderness First Responder, AIARE level 2 Avalanche Certification, Leave No Trace, and is a Single Pitch Instructor through the AMGA. When Not guiding Sam enjoys hanging out with friends, family, and a good cup of Coffee. 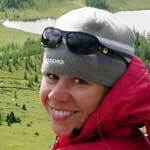 Melissa is an avid skier, hiker, backpacker and general outdoor enthusiast. 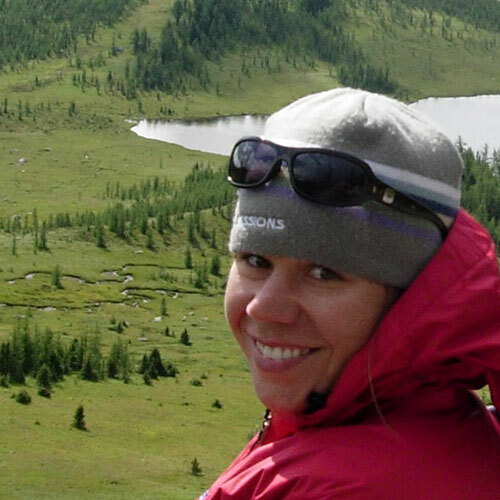 She has worked in the outdoor sports industry for over 14 years in the marketing and creative services of Clif Bar, Vail Resorts, Red Bull and Patagonia. She currently has her own graphic design business and works in the Mountain Professional admin office helping with the communication/marketing/website aspects of the business. Dr. John Podraza earned his medical degree from the University at Buffalo. Dr. Podraza then joined the Unites States Navy where he completed both residency and fellowship followed by training as a surface warfare medical officer. He is currently a Lieutenant Commander in the US Navy and is double board certified. Dr. Podraza is also certified and/or currently an instructor in basic life support, advanced cardiac life support, pediatric advanced life support, and advanced trauma life support. He currently works at the Walter Reed National Military Medical Center and volunteers his time with multiple wounded warrior adaptive sports programs. John is a member of the Wilderness Medical Society and is currently completing a fellowship in wilderness medicine along with a diploma in mountain medicine. 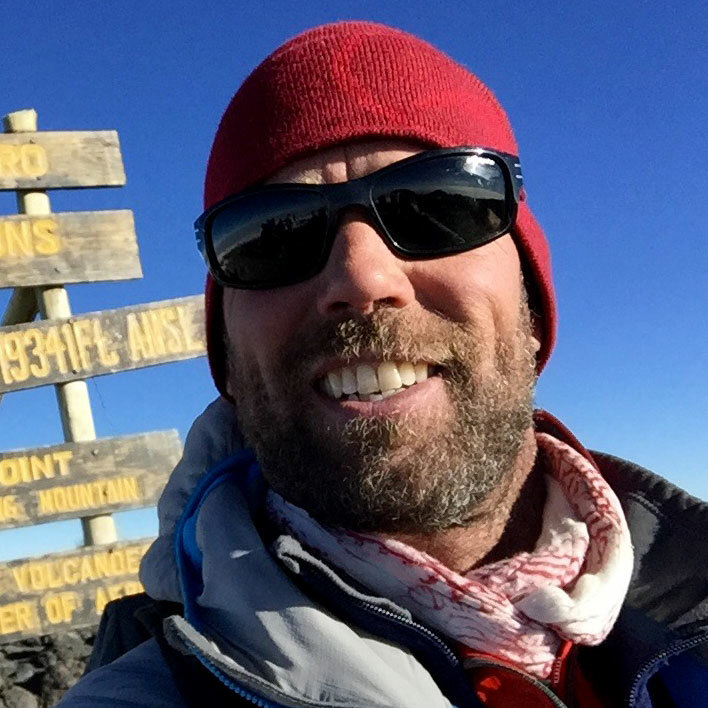 Some of his accomplishments include skiing the 10th Mountain Division Hut system in Colorado, climbing Chimborazo, Cotopaxi, and Cayumbe in Ecuador and has completing a solo winter traverse of the Presidential Mountain Range in New Hampshire. 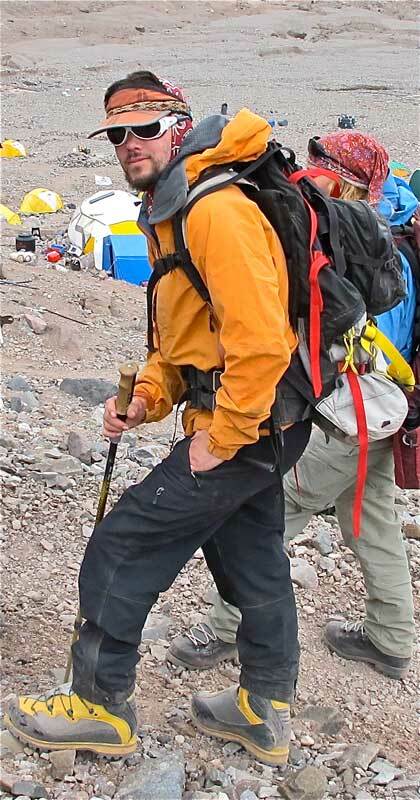 Dr. Podraza has also climbed the tallest mountains in both North and South America: Denali & Aconcagua.